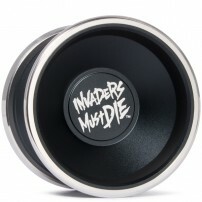 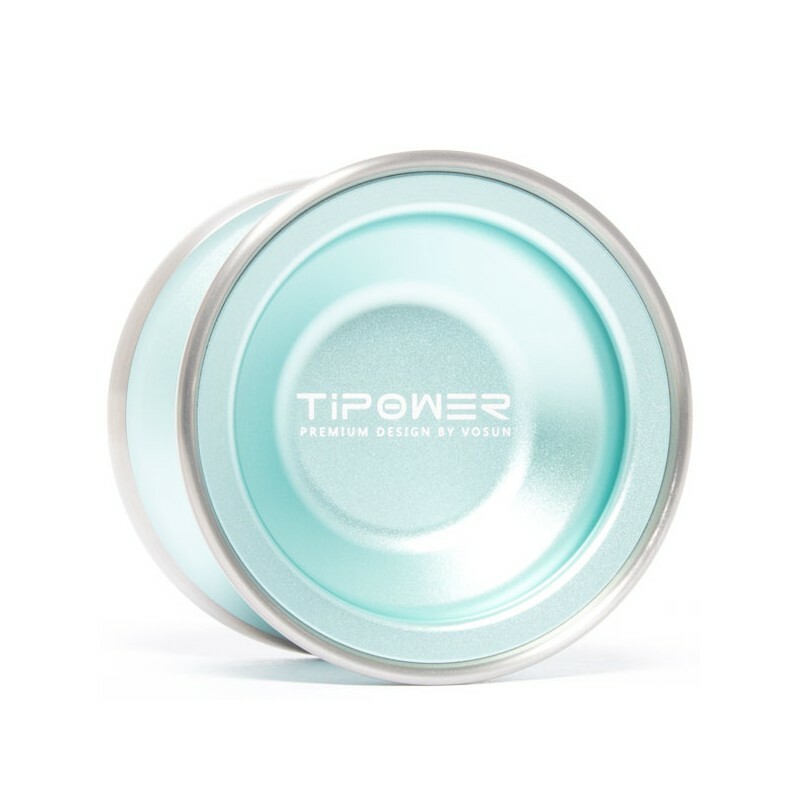 The Bi-Metal Yo-Yo market is full of beautiful masterpieces, and those of us who are really into this little world love the feeling of playing with a Bi-Metal, but had you ever thought of the possibility of a Bi-Metal with Titanium rings? 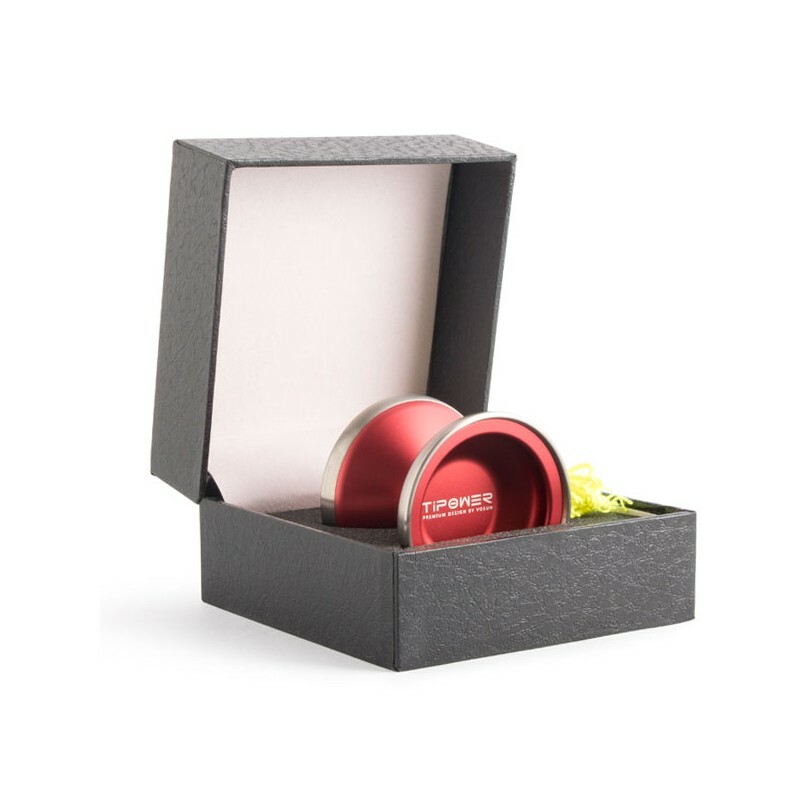 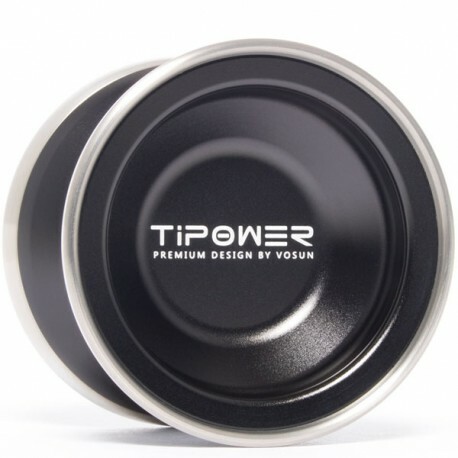 Ever since Vosun made the Koreyoshi made only in Titanium, they have not stopped manufacturing spectacular Yo-Yos at incredible prices. 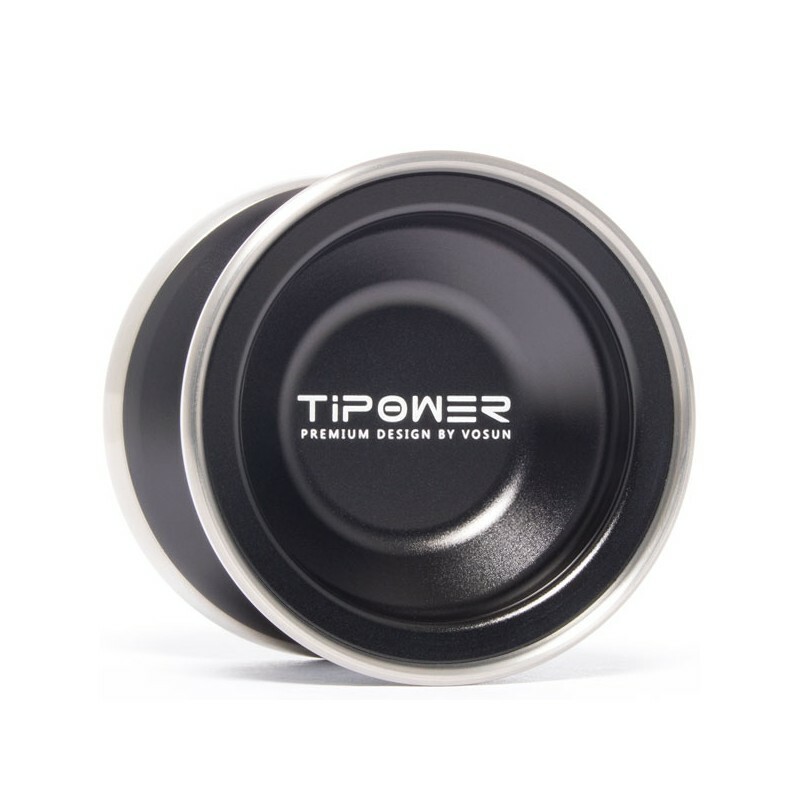 Remember the Ezspin, we do too, and were always wondering when we would see Titanium in a new creation until now… If your hands are asking for more and more check out the new TiPower. 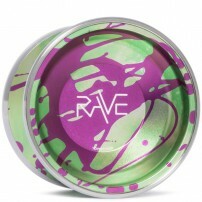 It is just as wild as it is addicting. 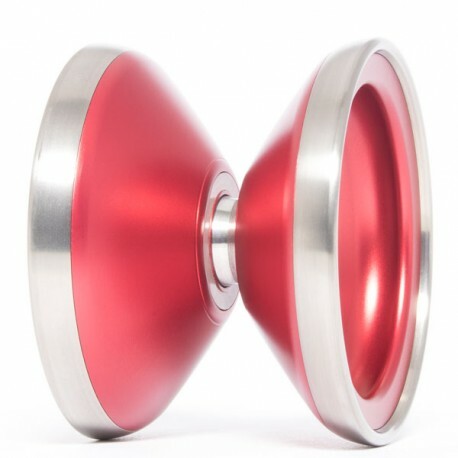 The design “Aluminium Body + Titanium Rings” is not anything new, we had already seen this in an earlier Yo-Yo like the Evora Ti7075. However, for Vosun this was truly a challenge but after many prototypes, they have learned how to get the perfect weight for the YoYo. 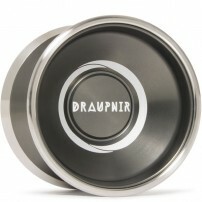 Playing with a Bi-Metal Yo-Yo with Stainless Steel rings is one of those things in life you just have to try. 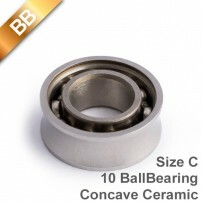 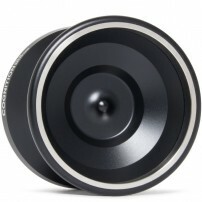 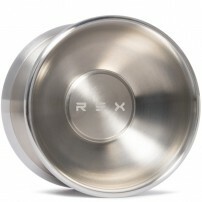 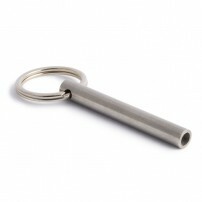 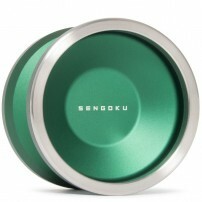 But, the fact that the rings are made of Titanium changes the behavior of the YoYo radically. 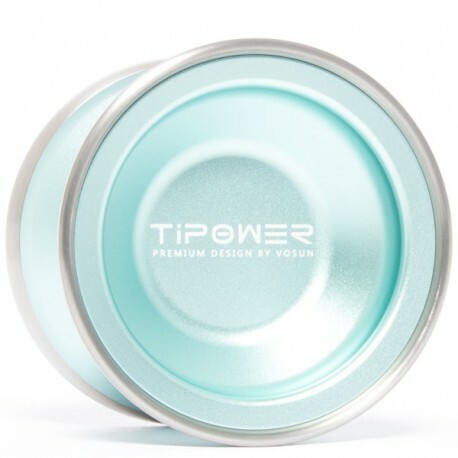 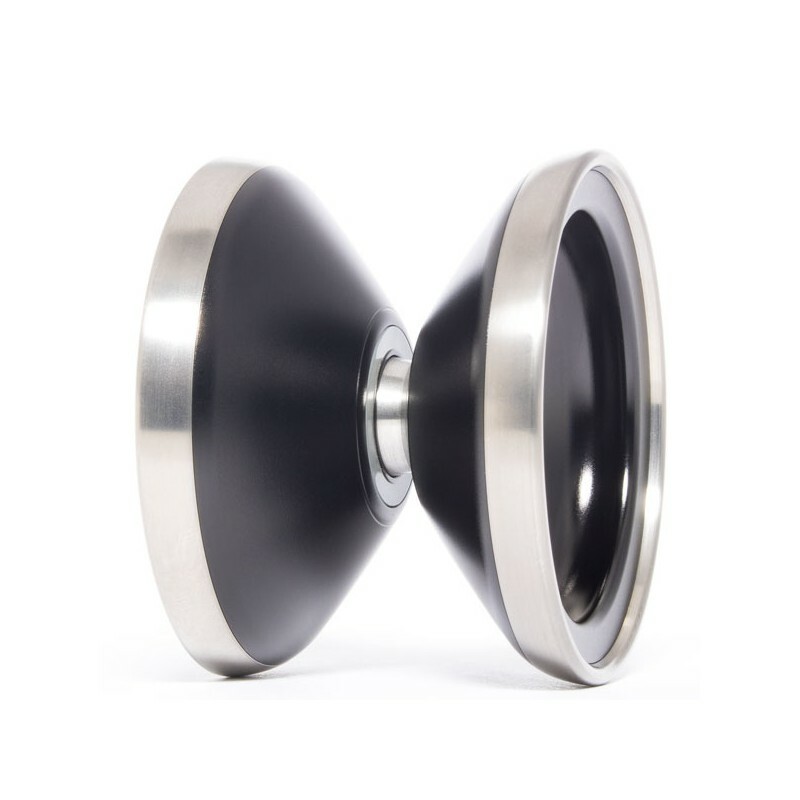 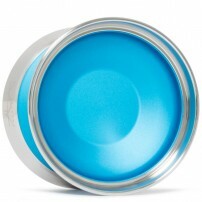 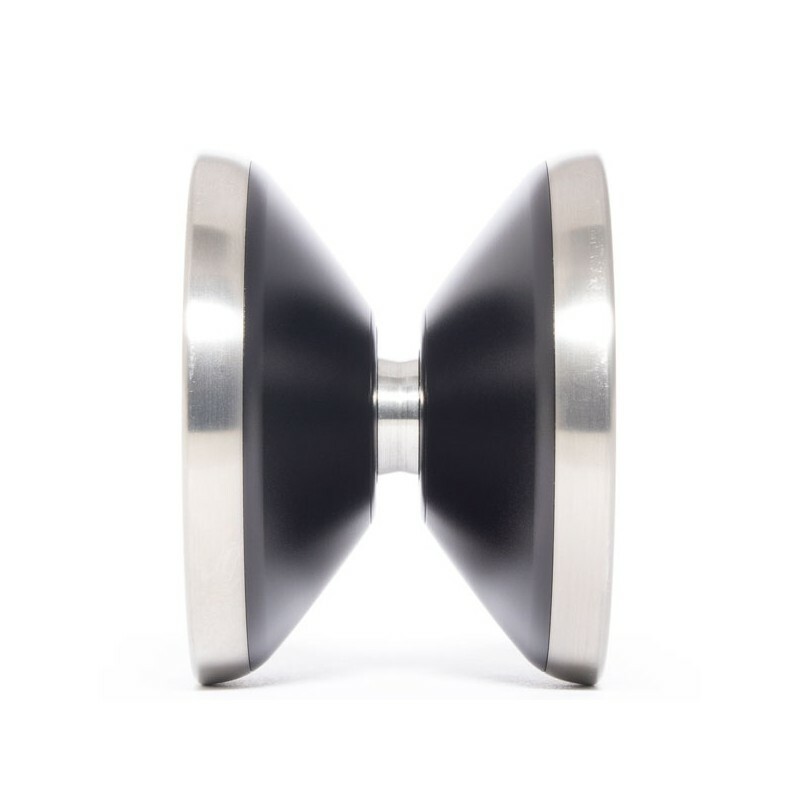 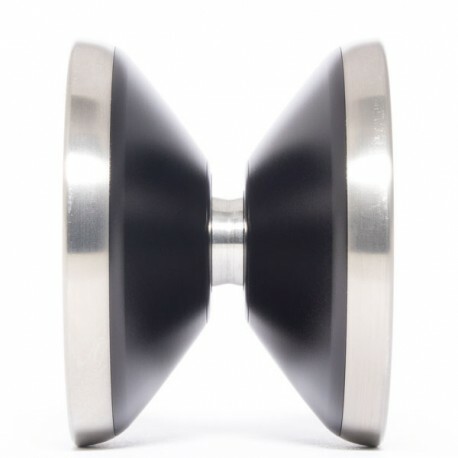 Titanium is lighter and harder than aluminium, and that tact is felt immediately in the YoYo as it starts spinning. 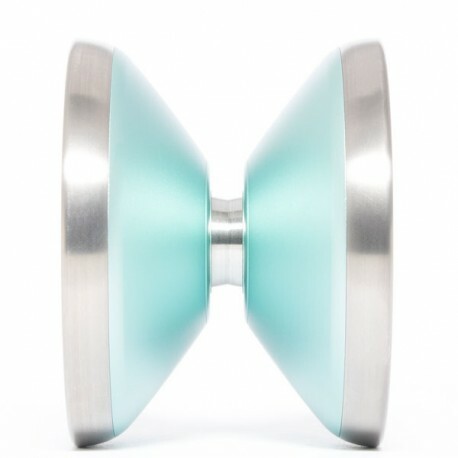 It is just such a good feeling. 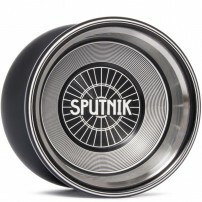 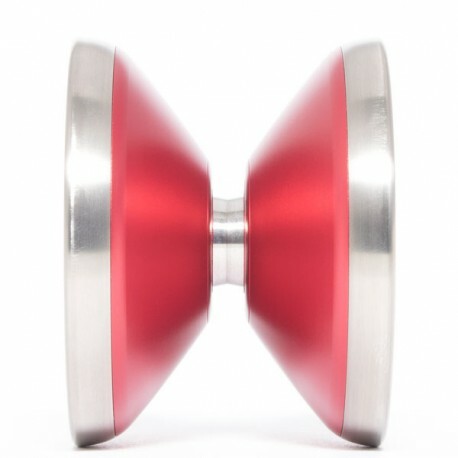 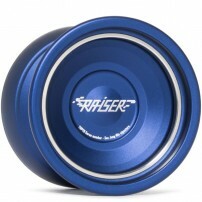 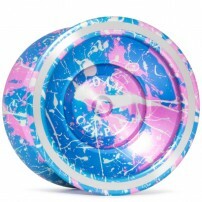 The play with this YoYo is super fast and very light. 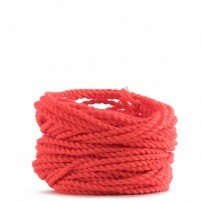 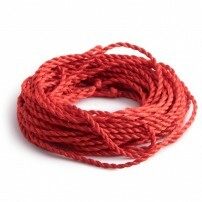 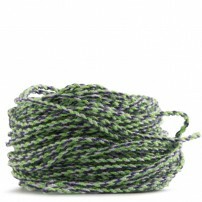 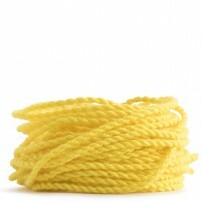 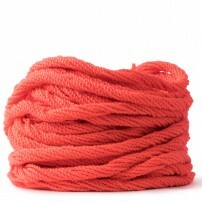 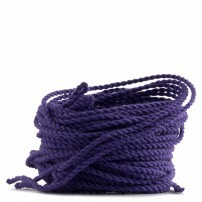 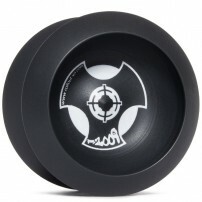 The Yo-Yo seems to just fly along the string and is super fun to play with. 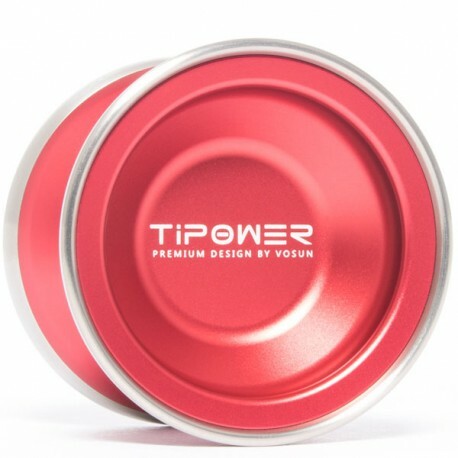 The Vosun TiPower is a great advance in the manufacturing of high performance YoYos and we hope it will not be the last with these specs. 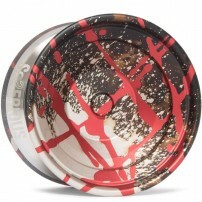 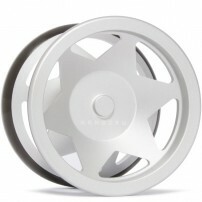 Find more Vosun Yo-Yos here.